Sugilite is one of the violet flame crystals and is considered to be one of the most important love stones. It represents spiritual love and wisdom and opens and aligns all of the chakras to love, with its beautiful rays. 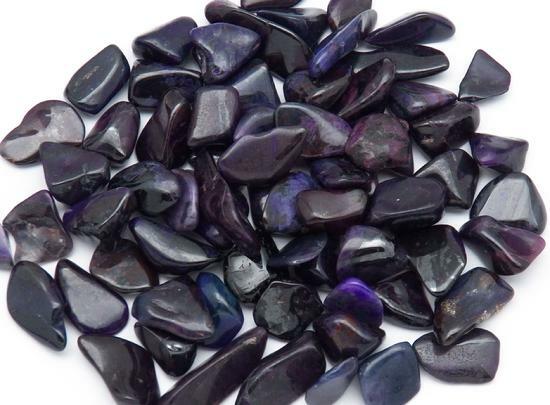 Sugilite is a powerful stone used by healers to gently draw out pain of all kinds. Place sugilite against the third eye to alleviate headaches and despair. Healers have used sugilite to release inflammation, stress, disease, toxins, and emotional blocks. It is also used by healers for dyslexia and motor disfunction. Sugilite is so full of energy that it never needs to be charged.